Favorite SCUF Feature: "Trigger stops are one of the most important, if not the most important, part of the controller. Being able to shoot as fast as possible is a huge factor and can decide whether you win or lose a game." 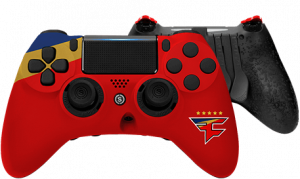 The new SCUF FaZe Infinity Series features the iconic colors of the esports champions, and is emblazoned with the FaZe symbol. 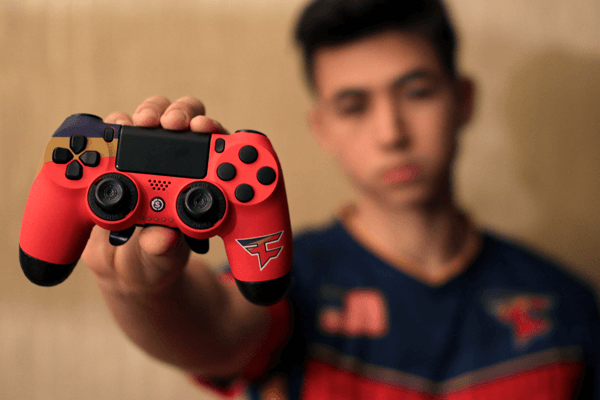 This symbol of esports greatness is available for both Playstation 4 and Xbox One, and comes equipped with all of the technological innovation that has kept SCUF in the hands of Pro Players all over the world. 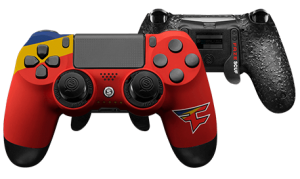 Sporting a star for every championship that they’ve won, the SCUF FaZe Infinity Series serves as a reminder that every call to greatness begins at the same place in the race. Take your game to the next level with the SCUF Infinity series controllers. Change thumbstick length & shape, adjust triggers and remap paddle configurations for your play style. 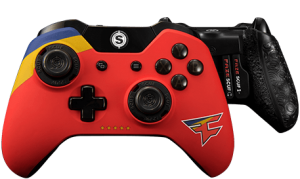 Every SCUF controller is handcrafted & customized to specification. Customized by you. Handcrafted by us.